Chenille Luxury Manual Recliner Chair is rated 5.0 out of 5 by 1. Imagine sitting in the lap of luxury when you sink into this stylish recliner. Developed exclusively by House of Bath it's a refreshing change from typical recliners on the market. Untypically, our recliner is truly comfortable and deeply restful in a contemporary design that'll fit into any surrounding. Feel it wrap itself around you, supporting you from head to toe. Built to last on a solid wooden frame, our recliner is padded and upholstered in sumptuous, but hard-wearing chenille in a choice of 13 colours. Available in 6-8 weeks, your recliner will be personally delivered and set up in your preferred room. 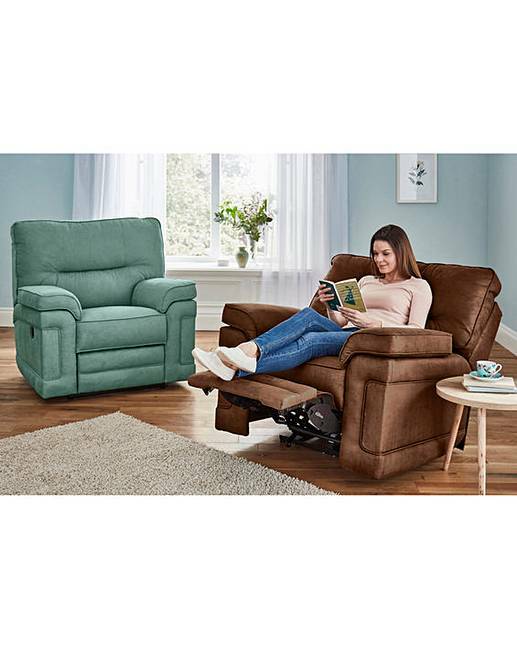 Rated 5 out of 5 by Jane from Perfectly comfortable recliner chair Very smart and well upholstered recliner chair in very elegant jade colour, will always make an ideal chair bed when extra visitors arrive. Is very very comfortable.